These five real estate investing books will teach you what you need to know to make deals with confidence, even if you are brand new to real estate investing. Learn how to use other people’s money in conjunction with proven systems to build a successful business. Learn to shift to the investor mindset to create long-term financial freedom. As entrepreneurs, real estate investors must be committed to personal and professional development at every level of their career. One of the best ways to ensure continual growth is to read the top real estate investing books to expand your knowledge, dive deeper into a particular niche, or shift your mindset. There are tons of real estate investing books to help guide you through your first few deals. 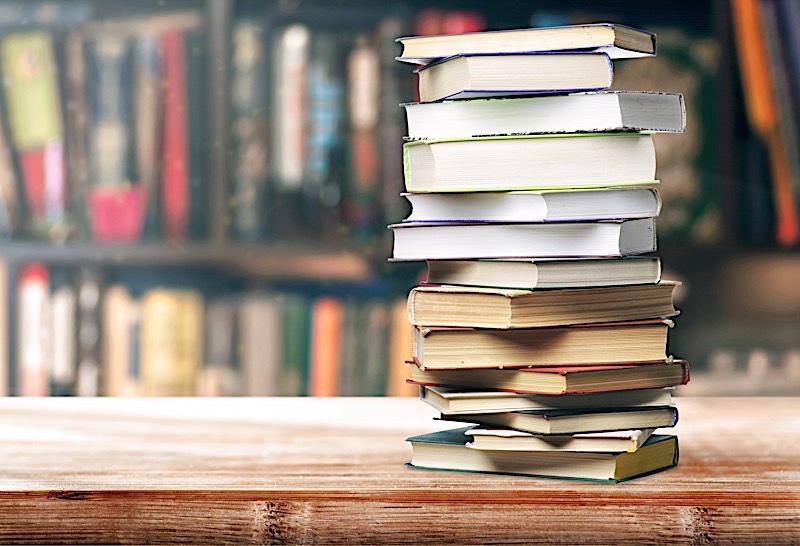 A quick search for these investing books can be overwhelming, which is why we’ve listed our recommendations for the five best books on real estate investing that are absolutely essential if you want to build a successful career in real estate. Even without experience, you can start investing in real estate with guidance from some of today’s most successful entrepreneurs through their real estate investing books. You don’t have to be wealthy to start your real estate investing career; learn to use other people’s money to fund your deals. When you make a shift away from your consumer mindset to an entrepreneur mindset, you unlock previously unknown potential for financial freedom. Using systems outlined by real estate investing experts, you can build a business that runs smoothly, without being dependent on you as the business owner, giving you time to enjoy your life. You will notice a common theme in many real estate investing books: if you can shift your mindset to think about money and investing in new ways, you can start building wealth and creating a new sense of financial freedom. This mindset shift doesn’t come easy, however. Many of us are fumbling through our finances with almost no education on the topic, and many of us have been misinformed that the way to a secure retirement is to save and invest in our 401(k). Unfortunately, it’s not that simple, at least according to the books written by today’s best investors. There books provide the foundation for a sound financial education; one that can help you start investing in real estate and take control of your financial future. If you are new to real estate investing, “The Book on Investing In Real Estate with No (and Low) Money Down” by Brandon Turner is an excellent starting point. This book is, above all else, about shifting your mindset to be that of an investor, rather than a consumer. When you read this book, you will learn just how the most successful real estate investors use other people’s money to make deals, and you will come away armed with numerous strategies to get the most out of your financial strategy. Investing is not just about a step-by-step process, but a mindset, and this book will help shift your mindset. Learn strategies for finding and financing your first deals without spending thousands of dollars of your own money. Discover creative ways to finance your deals so that you are never reliant on one source of funding. Just as important, learn the drawbacks to different types of creative financing. You can effectively leverage other people’s money to do more deals, no matter your level of experience. John Schaub learned to build his passive income rental portfolio through trial and error, and when you read this book, you can benefit from his more than 30 years of investing experience. You’ll come away from this read with an understanding of how Schaub built his real estate empire and how you can use his methods to do the same thing. This book covers everything from how to buy good houses in good neighborhoods at wholesale prices, to paying off debt and improving your properties. “Building Wealth One House at a Time” will prepare you to build a profitable and growing rental portfolio in no time! Buying the right houses in the right neighborhoods is key to your investing success, and this book teaches you how to do just that. You can build a passive income rental portfolio free and clear with Schaub’s methods. Building a strong rental portfolio can position you to have reliable, monthly cash flow for life. Learn timeless principles for financing your purchases and staying debt free. Learn the types of investments that will yield the highest returns with the least amount of work. This book provides an excellent road map into real estate from the creative mind that brought us the E-Myth. I would recommend this to investors who are just starting on the journey to becoming an entrepreneur, as it details the importance of systems and how they relate to today’s most important business practices. It will provide an excellent framework of business operations and real estate financing. The book contains some great advice, so even if you are a more seasoned investor you can find value in it. When you look at the world of real estate investing from a new perspective, you will find opportunities for wealth you never knew existed. Shifting your mindset surrounding business operations can immediately put you on the road to success. Learn the differences between investing in real estate as a hobby and as a business. In short, this book is all about the power of systems. Paul Esajian breaks down the complex process of rehabbing and flipping houses for profit, and builds systems that even a brand new real estate investor can follow. Paul covers everything from raising capital for your rehab deals to the ins and outs of a fix-and-flip. You can use the proven, step-by-step systems outlined in this book to start making money in real estate with confidence. You’ll learn to find deals, analyze their potential and estimate repairs before you even make an offer. Understand how to use other people’s money to fund your deals, including how to make a private money presentation. Use a system to rehab your property without doing any of the work yourself. Learn how to price, stage and market your property to ensure a quick sale with the highest offer. Using these systems, you don’t need any experience or money of your own to start investing in residential real estate. Wholesaling is one of the quickest and simplest ways to start making money in real estate. In this book, Than Merrill breaks down how to find, structure and execute wholesale deals, and then how to build a real estate investing business that runs on proven systems even if you have little to no capital or previous experience. With “The Real Estate Wholesaling Bible,” you can start implementing systems in order to build a profitable business that allows you the time to enjoy your successes, making this one of the best books for new real estate investors. You can build a real estate investing business using other successful investors proven systems to reduce your learning curve. Understand the mechanics of executing a wholesale deal, from finding the deal to funding it, to selling it. Learn how to use real estate wholesaling to make money in even the toughest real estate markets. Real estate investing doesn’t have to be dependent on you as the business owner: learn how to take back your time and let the systems do the work for you. Success in real estate investing doesn’t just mean making a profit, but having the time and freedom to enjoy your life. Whether you are just getting started or you’ve completed your first few deals already, these five books are some of the best real estate books to increase your profits, confidence and industry know-how. Is there another title you would add to this list? What books have you found to be most essential to your real estate investing education? Feel free to share some of your favorite real estate investing books in the comments below.